Good performances, but, like most Braxton stuff recorded around 1974, this has the feeling of only being at the brink of something big. The opener “Composition 36,” a trio piece with Richard Teitelbaum and Leo Smith, is definitely cut from the same cloth as New York, Fall 1974, which was recorded at sessions just before and after this one. The remainder are standards, with just Brax and Dave Holland. 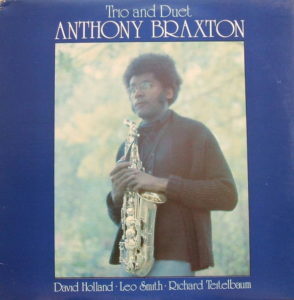 Probably, those new to Braxton should start with Five Pieces 1975 or even New York, Fall 1974 and then work back to this if interested.